I Am the Eternal Ray— This is a matrix that extends beyond the beginning and beyond the end. The Alpha and the Omega. 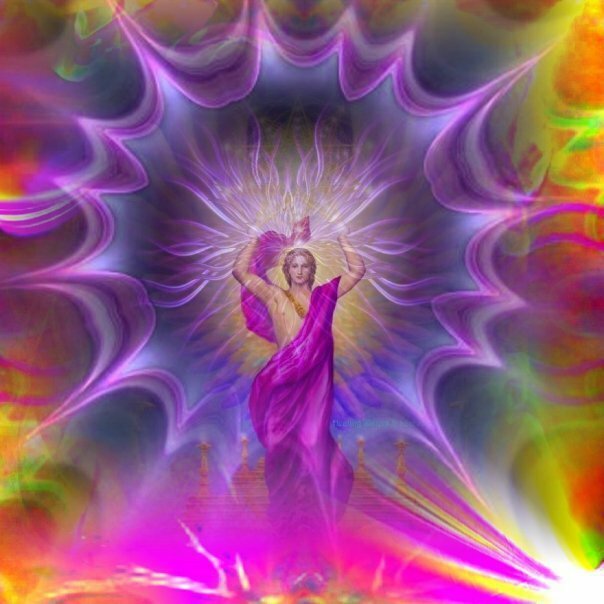 I am an Aspect of God—God’s Angelic aspect but also the aspect that works with the creation of light domains. Light systems are light fields—or you could see them as matrixes. It is actually a very exact science with specific principles. The Unified Field is the Operating System for your current state of evolution on Planet Earth. It exists to Unify. It teaches that all particles are unified within the entire cosmic system. One organism so to speak. The state of such unification brings cohesion to the particles in man’s brain and gives him celestial proprioperception. It is here, in knowing one’s place and value within the larger system that one can begin to connect the dots, so to speak. For actually knowing this, this thought alone changes the atomic structure of a man’s brain which in turn affects all of his human operating systems such as hormones, nerves, skeletal, digestive, etc. Expansion in all things is the cosmic growth factor—it is the trajectory of growth and the outcome of growth as well. As part of our 5D awakening, all other systems beyond the human body are moving into expansion as well. Yes the financial and government systems as well as the medical and educational systems. For each system itself is a form of a matrix that will be rebooted and recharged. So this is how the power of thought changes the world. And this is how it happens on an atomic level.